I am pretty passionate about eating clean. My husband and I eat relatively healthy and really pay attention to knowing what we’re fueling ourselves with. Because of this, when one of us wants something off the typical eating plan- nine times out of ten I’ll make it. With that being said, sometimes there are cravings only Spunky Dunkers doughnuts or a Chic-fil-A milkshake can cure. Well, since going gluten-free this past October, those “need a deep fried dough” cravings have gone unsatisfied. I was sad, of course, but I told myself “It will just take time to adjust. These cravings will go away.” And it worked! You see, I discovered Ted’s Bulletin- a fabulous restaurant in DC famous for their homemade pop-tarts- one month before going gluten free. I imagine it being the equivalent of discovering fried chicken a month before becoming a vegetarian. It’s a tragedy, I tell you! I couldn’t justify the reasons I was denying myself this delicious, flaky pastry! Luckily Ted’s Bulletin was an hour from my house so I lived in a delightful “out of sight, out of mind” bliss. Well whoop-dee-doo, Ted’s expanded. And guess where their new location is. Did you guess that it’s right across the street from my work? Then you’re correct! 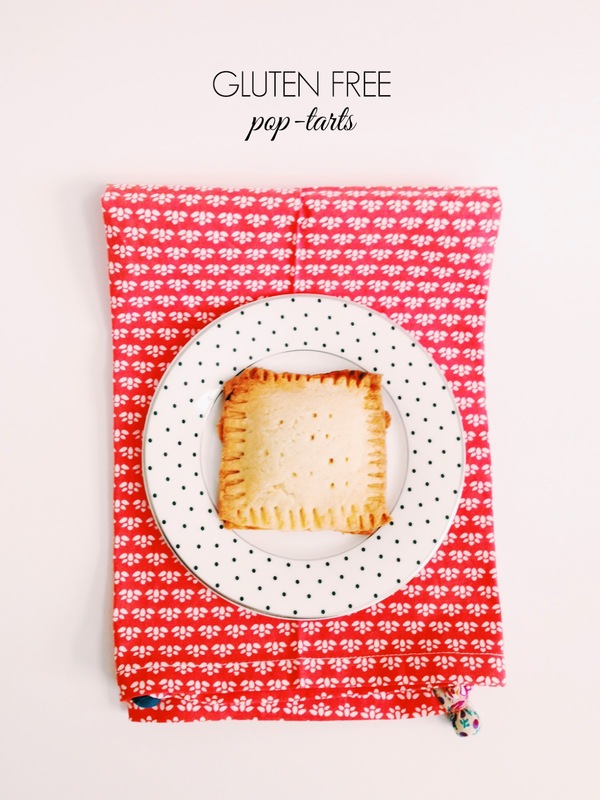 I did what any other gluten-loving yet gluten-denying girl would do; I scoured the internet for homemade pop-tart recipes. 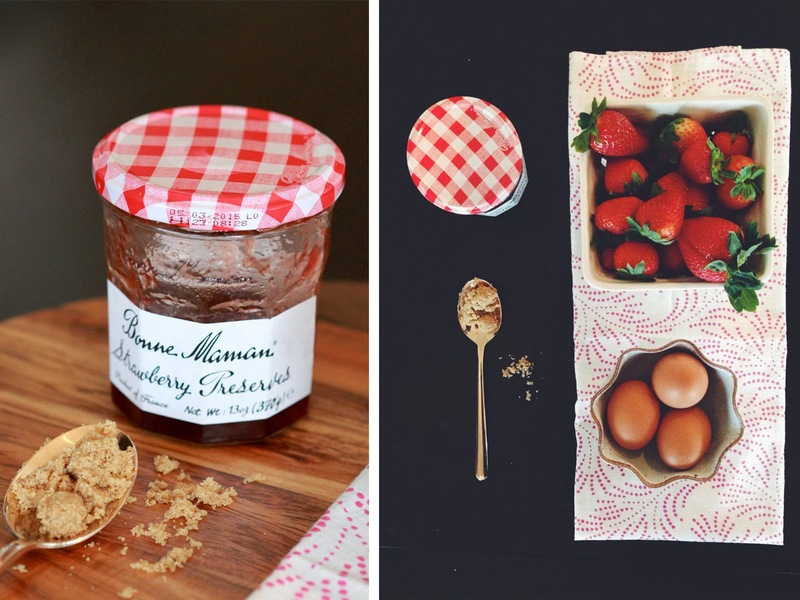 Of course, the winner ended being this recipe from Smitten Kitchen. I swapped out the flour for my secret and most loved ingredient: Cup 4 Cup Flour. I made three with the strawberry jam filling and six with the brown sugar filling and can honestly say: both are equally delicious. I probably shouldn’t be left alone with them. 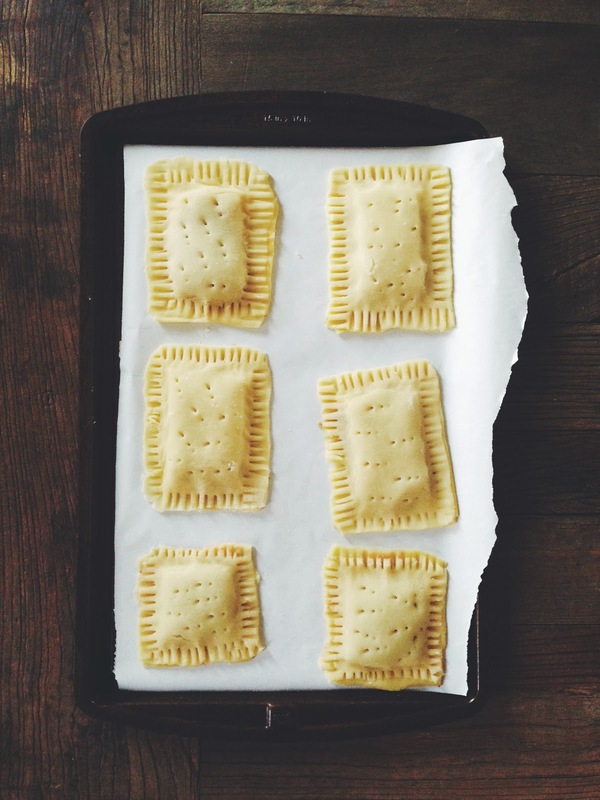 A little tip: I didn’t measure exactly as the recipe directs (whoops) so I ended up with three little ravioli sized pop-tarts, and they’re pretty precious. You can see the mini one in the opening photo…come on. That’s a cute pop tart. Don’t be terrified of the measurements, just hurry up so you can get to the eating part! 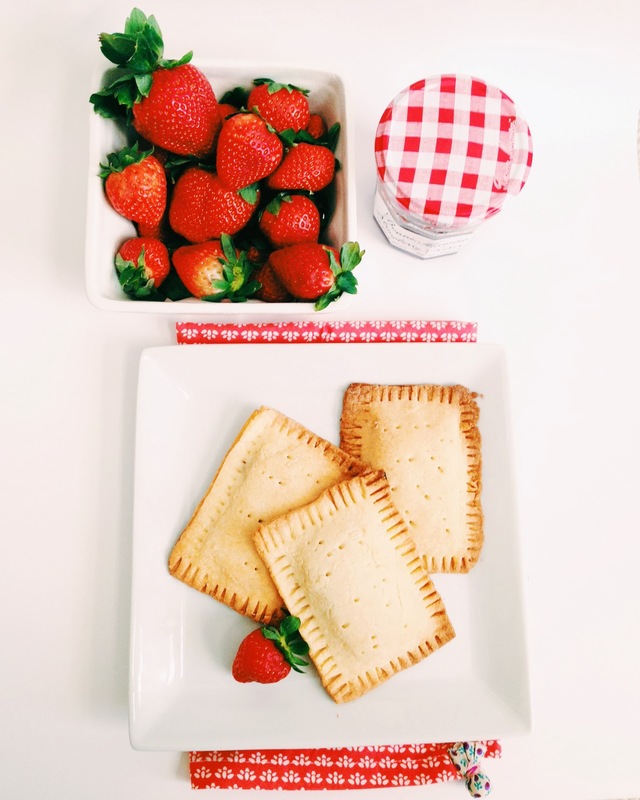 For my gluten eating friends, just follow the Smitten Kitchen recipe and Enjoy! Disclaimer: I am gluten-free by choice and have no gluten-intolerance. If you are gluten-intolerant please thoroughly inspect the recipe to make sure it is safe for you!